Sufferfest was the weekends main race with a good number of athletes heading down to Warnambool for the events over Saturday and Sunday. 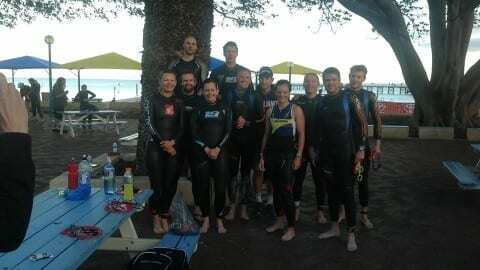 For most it was a build and preparation race for Ironman Port Mac or Cairns. The 2k swim, 80k bike and 20k run was a very solid hit out with a looped bike course encapsualting one tough hill which was climbed and descended a number of times. Congratulations to all those who raced there, trained there (170k for the IM girls!) and cheered on those putting in 100%. Feedback on the event has been great and on what should have been Melbourne Ironman weekend there was at least a great long course event. The medals for the finishers also doubled up as a bottle opener so you could very easily celebrate once the line was crossed! Also taking place was the Run for the Kids around the center of Melbourne. Land marks such as the Bolte bridge, Docklands, South Warf and the Botanical Gardens were traversed in the 16k and 5k run. Again great job all those who took part and raised funds for the Royal Children’s Hospital Good Friday appeal. We think it is a normal weekend this week (apart from being Easter) so no racing will be happening but do let us know if you are getting involved somewhere. With the mention of Easter – firstly don’t eat too many eggs and chocolate…..secondly there will not be any coached training sessions on Good Friday, Easter Sunday or Easter Monday as these are public holidays. There will be training on as normal Saturday so please check here for info on this. SAVE THE DATE – Saturday 14th May – End of Season Party. For more information and tickets for this very popular event click here. Sessions are back to normal at MSAC though parking and access may be occasionally different from the norm. Please be aware of extra traffic including large trucks moving gear around the track. Many thanks to all those who stayed and made our almost end of season Elwood bbq a great success. Heaps of people ate everything that was brought and cooked. It was great to catch up and enjoy the early Autumn evening. Thanks also to Ian and Rob for helping set up, cook and clean up after – much appreciated. Please do ensure you check the timetable and our Victorian Facebook page for training updates as these sometimes have to change at short notice. Click the session on the calendar to give you more details including time and location. 2. AMBASSADOR CLARKY – THE END IS NEAR! Clarky gives us his almost end of season review (though for some the end is still a couple of months away). THE END IS NEAR! That’s right folks… It’s nearly time to put away the lycra, grab a couple of beers and sit back and watch the hair on your legs grow. For most of us, The 5th Gatorade race will mark the end of the summer triathlon season. And what a cracker of season it has been! A lot of athletes have completed some huge milestones such as completing their first triathlon, stepped up to new distances, or achieved some impressive PBs. Whatever the achievement, large or small; Now is a great time to reflect and celebrate. So be sure to make the most of the time off and reward yourself for what has undeniably been an epic season! With reflection in mind, I thought now would be a good time to look back on 2015/16 season and highlight some things that have really stood out to me. As a team, there have been some massive achievements. Starting with the podiums. So many podiums! Though quite notably, the girls (with the exception of Hilario) have absolutely dominated with at least 3-4 of our female athletes hopping up on stage every race. And while these athletes have been doing us proud up the front, the support from the back has been huge. The Sound of cowbells and cheering has been overwhelming and have shown the rest of the competition that TA is here! Though, I think you’ll agree… We definitely need more cowbells! Now while getting a medal for your success is always a great feeling, There is no denying that reaching person goals is equal if not a greater achievement. So amazing to see so many athletes’ complete new distances and set some impressive PBs, and notably the buzz from the newbies completing their first triathlon has been electric! I can personally say that this feeling never goes away, just as long as you keep setting goals and keeping working hard to achieve them. While it seems like we are winding down for the season, there are still a few awesome things to come. First of course is Race 5 of the Gatorade series. If you haven’t signed up for this, then you need to get on it! And if you’re not racing, be sure to come down and support and stick around for a cheeky bevey after the race. Also, the long course kids are still at it! With Port Mac and Cairns events still to come, there will be many athletes powering on into the colder months. Enjoy the rest of the season everyone! Has been one to remember. Tickets can now be purchased at the early bird price of $75pp via TryBookings here. Our End of Season party is booked and we want everyone to be there. 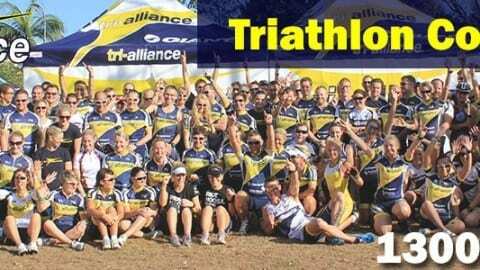 This cracking event returns again to The Village Melbourne and Ormond Hall and is open to all Tri-Alliance members, friends and family. Running from 6:30pm until 11:30pm we will have drinks and canape’s on arrival with dinner served between our much anticipated awards. Who will take out the much coveted Zoolander award from last years winner James Tyler (or can he repeat!!). Other awards will go to our short and long course male and female achievers along with the John Cornish Scholarship and best newcomer. Don’t miss out and double book yourself. If you are wanting to help out on the organisation of this event then please do email us at [email protected]. We’d love to hear from you. There has been great feedback from Pro Hours as we look to build on this in the coming weeks. Many thanks to all those who have come along and made the most from the sessions. Please share and spread the word about these FREE sessions and if you happen to have a day off or can adjust your schedule come along and give them a go. With many athletes having flexible working arrangements and the power to adjust their own training schedule it was about time we offered some “Pro Hours” training sessions. For the month of March we are running free triathlon training sessions during the day. With the end of the season approaching for many we are starting to think about what to do for April after the final races of the season in Victoria. This is a very important time of the season where you need to unwind, rest and recuperate. Sessions will be fewer and much less intense to give tired bodies the rest that they deserve. Last year we mountain biked, went indoor rock climbing, ran boot camps and did some strength and conditioning. We want to hear from you some suggestions on activities that are different from the normal swim/bike/run, don’t cost an arm and a leg and can be a good social occasion for all to join in on. Please email us at [email protected] with any suggestions you think would fit the bill. Even though we are already mentioning recovery month do not think that there are only a couple of races left in the season. There are plenty still out there and our friends at SME360 and XOSIZE events have a few coming up. 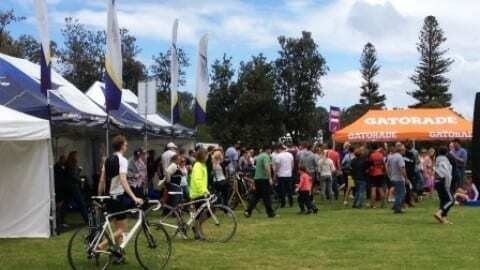 For those who have been asking and cannot currently run due to injury there will be another Aqua Bike race at St Kilda on the 10th April (1500m Swim and 40k bike) – you can now enter this on the Gatorade Triathlon website for race 5 here. Post the final Gatorade there is the Great Ocean Ride on the 16th April with 204k, 145k and 60k ride options along some of the best coastline in the country. Entry information can be found on the website here. Thursday 24th March – Combo & Run Elwood @6pm . 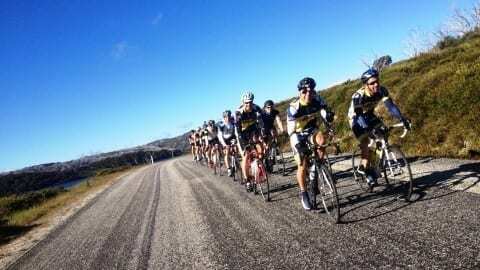 Saturday 26th March – Long course ride – Elwood @630am. Check your programs for distances. Saturday 26th March – Short Course Combo Elwood starting @ 6:30am. Bring all your gear but be prepared to ride first leaving the rest of your gear in your car (or a fellow athlete’s car).